You would think that one-on-one training courses for Health, Fire and Safety would cost a fortune and be time-consuming to organise. Well, it doesn’t have to be! Our one-on-one tutor led interactive online training is a fraction of the cost and management time than you would expect and goes at precisely the pace required by each individual. It has the added bonus of a minimal loss of productivity, because it’s efficient, flexible and can be done from the comfort of your office, or home computer, at a time that is convenient to you. Everyone has the opportunity to go over the E-learning course content as often as required, so gets the optimum learning experience that will be retained and applied to keep your business safe and compliant. 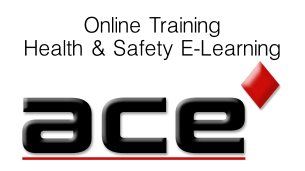 Our comprehensive range of E-learning courses are available to individual learners, SME’s and large organisations. For more information about each of the available courses please click on the appropriate section on the training menu. To purchase a single licence for a training course, simply click here to register on our training site and then purchase a single licence via PayPal.